• See The Kansas City Star's new production facility take shape. » Register to win a three night stay with Mountain Managers in Keystone, Colorado. » Win tickets to Worlds of Fun! Register now for your chance to get passes to Worlds of Fun! 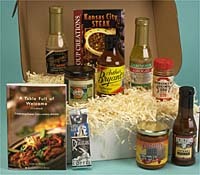 Now at The Kansas City Store ... New look, new gifts, new products from the Heartland! 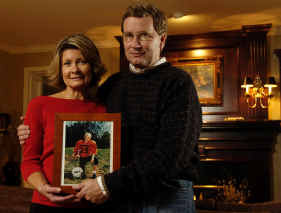 Cheryl and Mark Miller of Overland Park lost their son, Matt, at age 13 in 1997. After Mark Miller saw his son's lifeless body that early morning in July 1997, his suspicions turned quickly to the anti-depressant drug his son was taking. Just days after starting on Zoloft, 13-year-old Matt's behavior had changed for the worse. The drug was the only reason Miller could imagine why Matt would take his own life. That conviction turned Miller, an Overland Park ad executive, into a tireless activist, demanding a federal ban on the use of anti-depressants in children. On Friday, after earlier emotion-filled hearings before U.S. Food and Drug Administration advisory panels, the FDA announced that it would require manufacturers to put “black box” warnings, its most urgent advisories, on the labeling of all anti-depressants. The warnings will emphasize the increased risk of suicidal behavior in children and adolescents who take the drugs and will urge doctors to closely monitor patients using them. The FDA also is developing written material about the drugs' risks for pharmacists to give patients when they fill their prescriptions. These decisions came after an FDA review of data from two dozen studies of anti-depressants prescribed to young people. Although none of the more than 4,000 children in the studies committed suicide, the data did reveal a small but disturbing trend: Overall, about 2 percent to 3 percent more of the young people who took the drugs had thoughts of suicide or had tried to harm themselves than young people in comparison groups receiving placebo pills. Miller and his wife, Cheryl, see the FDA's action as a victory and a recognition of the link between these drugs and adolescent suicides. Eli Lilly and Co., the manufacturer of Prozac, supported the FDA's move. But a “black box warning on antidepressants may have a dangerous effect on appropriate prescribing for patients who urgently need proven treatment options,” the company said. The Millers were among dozens of families who gave heart-wrenching testimony at the FDA hearings earlier this year, describing how their children and loved ones killed themselves after taking anti-depressants. Many of these families said Mark Miller played a pivotal role in bringing them together. He built and maintains the Web site drugawareness.org, which in the past five years has served as a rallying point for hundreds of people who believe they or a loved one have been harmed by anti-depressants. About 1 million children and adolescents are taking a variety of anti-depressants for depression, anxiety disorders and other conditions. Many doctors worry that the negative publicity surrounding the drugs may scare parents from seeking needed help for their emotionally troubled children. “The best advice I can give parents is to find a doctor you like and trust and that your child likes and ask as many questions as you can,” said David Fassler, a child and adolescent psychiatrist at the University of Vermont. He testified at the FDA hearings as a representative of the American Psychiatric Association. Thoughts of suicide and suicide attempts are common among depressed adolescents, Fassler said. For most young people, anti-depressants may do more to prevent suicides than to promote them. Throughout the 1990s, as anti-depressant use became more common, the overall suicide rate among adolescents steadily declined, Fassler said. Zoloft manufacturer Pfizer Inc. has said its studies showed no suicides or any increase in suicide-related behaviors among children taking the drug. Some consumer advocates warn that the newly revealed hazards of anti-depressants are so great they should be used only as a last resort for the most severely depressed children. “Proceed with extreme caution. Do everything in your power to treat with talk therapy,” said Nancy Metcalf, senior editor at Consumer Reports magazine, which recently published a review of anti-depressants. Prozac is the only anti-depressant the FDA has approved for treating depression in children. But it is a legal and common practice for doctors to prescribe drugs “off label” for unapproved uses. On that basis, Matt Miller's psychiatrist gave him Zoloft. The Millers said they had been a happy family. After living 12 years in Lenexa, Mark and Cheryl decided to move to a larger house in Overland Park. They timed their move for the summer of 1996 to cause as little disruption to their children as possible. Matt would be starting middle school; their daughter, Jennifer, would be starting high school. While Jennifer adapted well, Matt had trouble finding friends and making the social connections that came easily to him at his old grade school. With his grades falling, his school suggested he see a counselor over the summer. But Matt's behavior deteriorated quickly. Matt was restless. He had trouble sleeping. He told his father he didn't like the drug. The Millers had planned a family vacation. The morning they were to hit the road, Cheryl went to wake Matt up. She found him dead. He had been taking Zoloft for a week. Miller started a relentless search to learn about these drugs. He soon got in touch with Ann Blake Tracy, a critic of anti-depressants. “He said he wanted to do anything he could to help spread this message to stop this from happening to other families.” Tracy said. Miller volunteered to put together a Web site to serve as a clearinghouse for the growing volume of information about the drugs. In the summer of 1999, he launched the site. Hundreds of anguished stories of attempted suicide, aggression and hostility began pouring in. Tom Woodward called Miller soon after his 17-year-old daughter, Julie, committed suicide last summer. Like Matt, she had taken Zoloft for just a week. The Millers meet Woodward and other parents for the first time in February, when they gathered in Bethesda, Md., to testify at the FDA's anti-depressants hearing. They met again last month at a second hearing. When the Millers arrived home from the hearing, a message from Tracy was on their answering machine: The panel had voted to recommend black box warnings. Mark and Cheryl Miller broke out a bottle of wine. “I'm sure Matt is looking down, smiling. I'm sure this is giving Matt's life some dignity,” Mark Miller said. To reach Alan Bavley, medical writer, call (816) 234-4858 or send e-mail to abavley@kcstar.com. • The U.S. Food and Drug Administration orders all anti-depressants to carry warning labels of an increased risk of suicidal behavior in children and adolescents who take the drugs.